We’re continuing to use Saturday Matinee to look at the Top 100 books in the running to be The Great American Read, with our focus on the ones that have been adapted for the screen. Cuz, ya know, that’s what we do here. A Separate Peace by John Knowles isn’t the easiest oldie to find for streaming on a Saturday afternoon; the only place I can find the film version is on iTunes for $10. 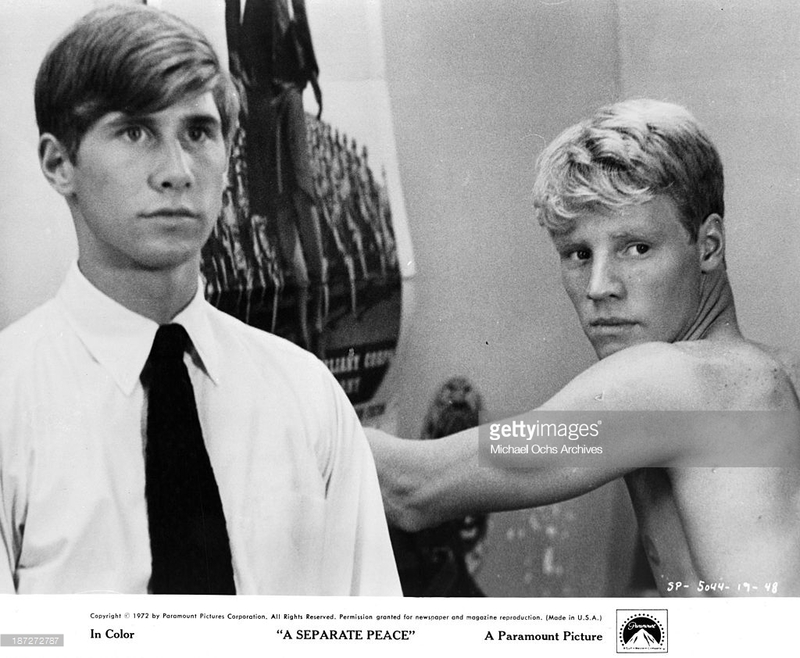 There are other adaptations but the one we’re watching is the 1972 movie—which garnered three stars from Roger Ebert—starred seventies heartthrob Parker Stevenson as Gene with John Heyl as Gene. Larry Peerce (Goodbye Columbus) directed. An American classic and great bestseller for over thirty years, A Separate Peace is timeless in its description of adolescence during a period when the entire country was losing its innocence to World War II. 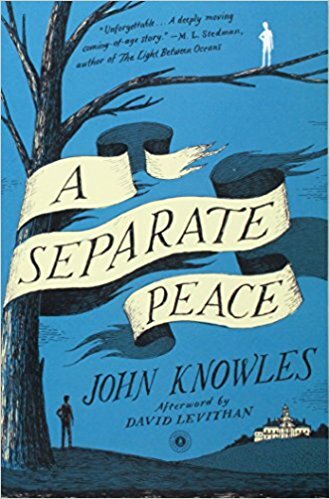 Set at a boys' boarding school in New England during the early years of World War II, A Separate Peace is a harrowing and luminous parable of the dark side of adolescence. 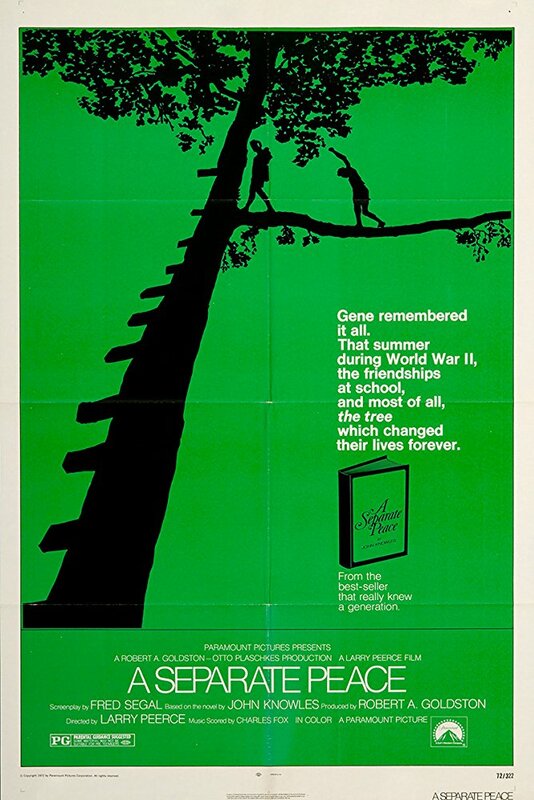 Gene is a lonely, introverted intellectual. Phineas is a handsome, taunting, daredevil athlete. What happens between the two friends one summer, like the war itself, banishes the innocence of these boys and their world. There is plenty of info on the net about the homosexual subtext of the boy’s friendship, and Knowles who later came out as gay—a reminder as to how long people had to bury their authentic selves—has been said to have written the book with that sexuality suppressed. I can’t even find a proper trailer for the coming-of-age story but I did come up with the opening to the film and the Salisbury Beach scene. Voila!